WATCH: NGA-NGA SI PNOY ! NATULALA SA MGA NAPAKABAGSIK NA BIRADA Ni ATTY. TOPACIO ! 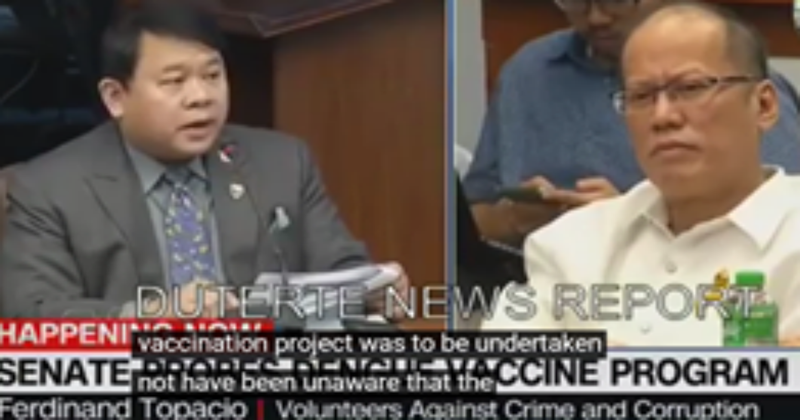 But DRILON intervened to DEFEND AQUINO. But Topacio was pointing out facts that were related to budget and fund release WHICH IS A DUTY OF CONGRESS. So in aid of legislation pa rin ! However, Atty. Topacio has good points on the timing of the release of funds for Dengvaxia and violations of the ELECTION BAN ON RELEASE OF FUNDS! 1. The vaccination was politically motivated during the campaign period. It was supply driven, NOT demand driven. 3. The ILLEGAL FUNDING (violated rules on release of funds) FOR DENGVAXIA vaccination program was initiated even PRIOR TO THE APPROVAL OF THE FDA ! !....and before the WHO had issued guidelines and EVEN WITHOUT APPROVAL OF THE EU REGULATORY BOARD on medicines and vaccines. 4. Garin and other officials were in cahoots with Aquino. At the time of the release of the vaccine, there were serious objections from medical experts. In another hearing, Gordon found that Aquino lied before the Senate because another official said it is not true as Aquino had stated that the other official was with Aquino. 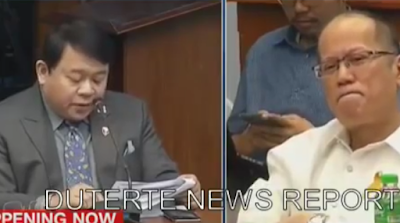 Trending Balita: WATCH: NGA-NGA SI PNOY ! NATULALA SA MGA NAPAKABAGSIK NA BIRADA Ni ATTY. TOPACIO !